Animal attacks are violent and costly. The Center for Disease Control reports that, annually, 4.5 million people are attacked and injured by dogs. Twenty percent of these victims must be treated by doctors. Although other animal attacks are less common, domestic animals such as ferrets, cats, or even geese, can also attack and injure unsuspecting visitors. Human injuries from dog bites are often so severe that the victims need reconstructive surgery. In 2008, the American Association of Plastic Surgeons completed a ten year study which concluded that most victims were minors who suffered bites to the face. Even if the bite is not serious, victims can suffer long-term psychological damage. If you, or a family member, are injured by an animal, it is important to contact an attorney who is familiar with your state’s animal attack laws. Bagolie Friedman has offices in New York, New Jersey, and Florida. 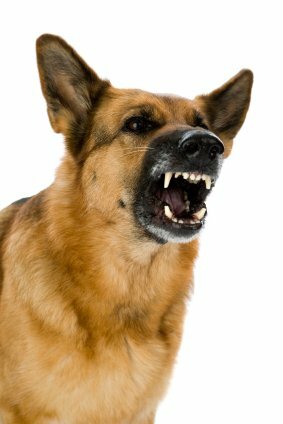 Our lawyers are well versed in dog bite laws in multiple jurisdictions. During your initial free consultation, our lawyers will discuss your state laws and how they apply to your case. States are usually characterized as strict liability or limited liability states. For example, in New Jersey, an owner must pay an injured party’s medical bills even if he had no reason to suspect that his animal was vicious. By contrast, in New York, an injured party cannot recover damages unless he proves that the owner knew his animal had dangerous propensities. An animal owner’s defenses also vary from state to state. Usually, a person cannot recover damages if he was trespassing when he was attacked, or if he provoked the incident. In Florida, recovery may depend upon whether or not the owner had a warning sign on his lawn. It is also important to name all responsible parties in a potential lawsuit. In cases of animal attacks, building owners, kennels, and even animal shelters may be liable for allowing a dangerous animal to injure members of the public. Lawyers at Bagolie Friedman are here to help you resolve your claim. We will evaluate your case, identify the parties at fault, and determine if insurance coverage is available. Although most cases settle, our lawyers are skilled litigators who are ready to take your case to trial. If you have been injured in a dog or animal attack in New Jersey, New York, or Florida, call our offices today.